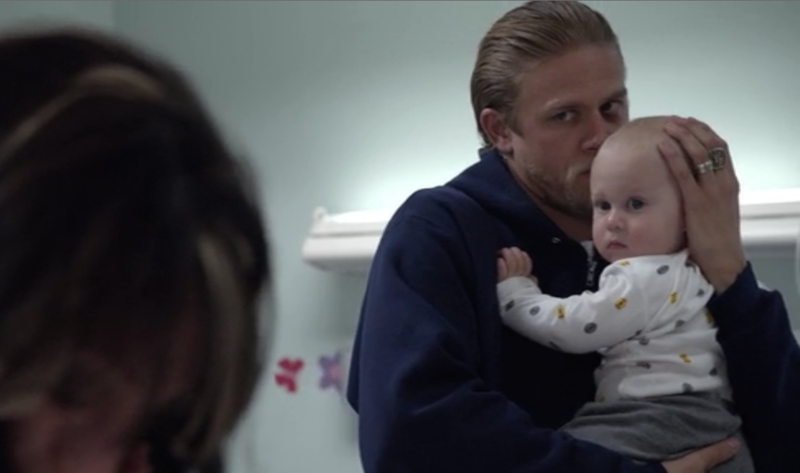 Jax and Baby Thomas. screencap. HD Wallpaper and background images in the sons of anarchy club tagged: photo sophia markov victoria markov charlie hunnam katey sagal. 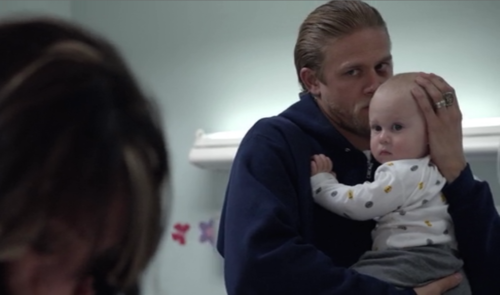 This sons of anarchy photo might contain neonate, newborn, newborn infant, and newborn baby.